Top: The original edition of “Zervos,” which lists more than 16,000 artworks and fetches as much as $200,000 at auction. It was last updated in 1978. Bottom: The new edition, a near-facsimile of the original. TOP: ©CHRISTIE’S IMAGES LTD. BOTTOM: ©EDITIONS CAHIERS D’ART. 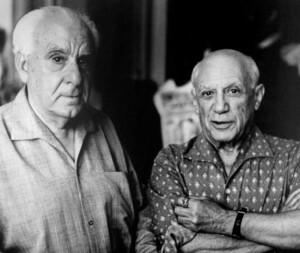 In the early 1930s, Christian Zervos, a refined and somewhat quirky art critic and publisher, and a fixture in Parisian artistic and literary circles—began cataloging Picasso’s work. It was a labor that would occupy him for the rest of his life. 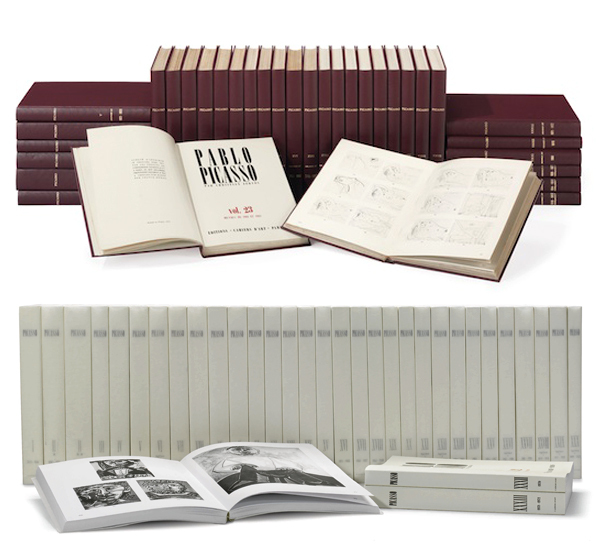 The monumental 33-volume publication he compiled over four decades, entitled Pablo Picasso par Christian Zervos and generally known simply as “Zervos,” lists more than 16,000 paintings and drawings from throughout the Spanish master’s career. Picasso was intimately involved with the selection and arrangement. “Zervos” became a rarity almost as soon as the last volume was published, in 1978, by which time both its subject and its author were deceased. Now, however, “Zervos” is back in print in an updated, near-facsimile version. With a price tag of $20,000, the reissued “Zervos” might seem too costly for most Picasso devotees, but in fact the catalogue is still an indispensable reference tool for Picasso specialists and scholars, in part because there has been no comprehensive cataloguing of Picasso’s vast oeuvre in the intervening years, and authenticating his work has been at times a pitfall-ridden process. So with full sets of the original “Zervos” fetching as much as $200,000 at auction, the new publication may be less nostalgic and more practical in wider Picasso circles. We’ve done some Picasso cataloging of our own here.